So, what exactly is ‘food provenance’ I hear you ask! Food provenance is simply this; knowing where your food came from, how it was transported and that it was humanely killed and cared for, before reaching your plate. For the past 20 years, we have built relationships with local farmers, taking time to make sure they meet the highest welfare standards, This is where Fabulous event catering begins. Getting the right produce from farms which are not only local to our kitchens, but places we can regularly go and visit is how we source the food we serve. Being such loyal customers, the farms we work with only supply us with the best meat. Then, once we have spent hours marinating, spit roasting, smoking or flame grilling it, it tastes sublime. For too long, catering has been only about the moment food is served to the client, without forethought for how that food arrived on the plate. We don’t call ourselves 'Fabulous BBQ' for nothing, we care about every detail. Taking care to visit farms, we can ensure they meet the highest welfare standards. 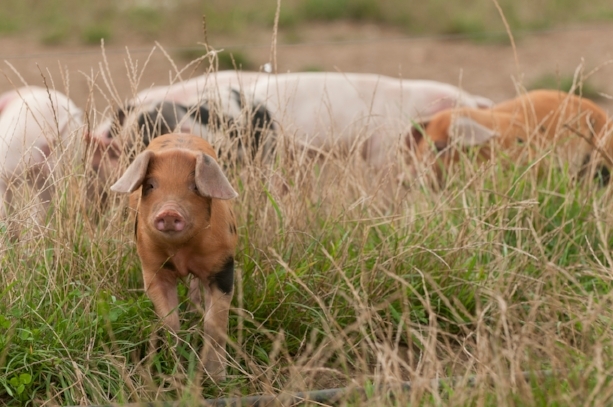 Farming has a complex environmental impact, that’s why we source meat from the places which are equally as passionate about animal welfare, and environmental impact as they are about their profit margins. To see the farmers we work with, click the links below. Other ways Fabulous care for the environment. Not only do we pay attention to detail in sourcing the produce we use, but care is taken to ensure minimum waste throughout the whole process. For too long food has been served in a way which leaves bin bags heaped ready to go to landfill without a hope of any of it's contents biodegrading. We use high-quality disposable cutlery, cups, napkins and straws, which are all 100% biodegradable. We’re not going to lie when we say it hasn’t taken work to get it to this point, but we searched high and low until we could deliver our Fabulous clients with the promise of eating from completely biodegradable plates. How do we manage that I hear you cry! Well, our plates are sourced from ‘Wholeleaf Co’ made from naturally fallen Indian palm leaves, Wholeleaf Co. produces natural, super strong Palm Leaf Plates that help you make a difference to the Planet and people's lives. We were pretty pleased when we discovered them. At the end of a Fabulous BBQ, the only bin bags you will see are filled with 100% biodegradable tableware! How does all this affect the food we serve at a Fabulous BBQ? Let’s be honest, when hiring a caterer for a high-end event, you want it to look good, but also taste AMAZING, and food provenance helps us to ensure just that. We serve freshly baked bread, collected on the morning of your event, with meat which tastes amazing. When a pig spends it's life roaming a lush green field, the taste is streets ahead of any mass produced meat you will taste. Taste is everything, and at a Fabulous BBQ, we bring it in abundance.